Gather round my fellow jewellery junkies, I have a rare and special treat for you today! I recently discovered SuShilla, the most gorgeous range of gemstone jewellery, designed by Sushilla Done and inspired by her travels to farflung lands. All pieces available from the website - check it out! I've since spent hours on the website poring over Sushilla's beautiful creations - I love the elegant simplicity of her work, using the highest quality semi-precious stones and allowing their beauty to shine through and be the real focus of the piece. 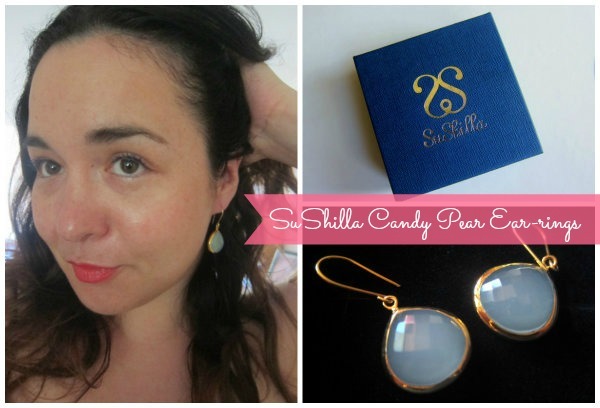 I'm in love with these Candy Pear ear-rings, which feature a large faceted Aqua Chalcedony stone, framed with gold-plated silver. They're absolutely stunning and perfect for day or evening wear. And there could be good news for you if you've fallen for them too, as the lovely Sushilla has set aside another pair for one lucky reader. Worth £120, they're the perfect piece to take you through the summer and beyond. 3 Leave a comment on this post and include your email or Twitter handle, so that we can contact you if you win. The giveaway is open in the UK and Ireland and will close one week from today - winners will be selected at random and if you're under 18, make sure you have permission to enter as we'll need an address to post out your prize. If the winner doesn't respond within 48 hours, we'll draw again. Good luck everyone, I hope you're lucky! I re-activated my Facebook a/c just to enter this competition! Those earrings are a thing of beauty. I always thought I had liked your page already Emma, but it turns out I didn't....! Liked and Loved! You can find me at@Skew_earring! already a follower, have had my eye on these beauties for a while. ooooooooh these are soooooooo pretty! I love love love them! Oh these are just stiunning. Perfect for summer! Twitter is @robo_jojo Thanks! They look so lovely on you I'd hate to take them from you, but i'm sure somehow i'd manage it lol! Yours would be a totally different pair, sent directly from the company - these ones aren't going anywhere Karen! The earrings are so lovely, good luck to the entrants! Oh me me me me me, please god me. Emma I'll be your bestie forever and ever. Such pretty jewelry. I love these earrings. 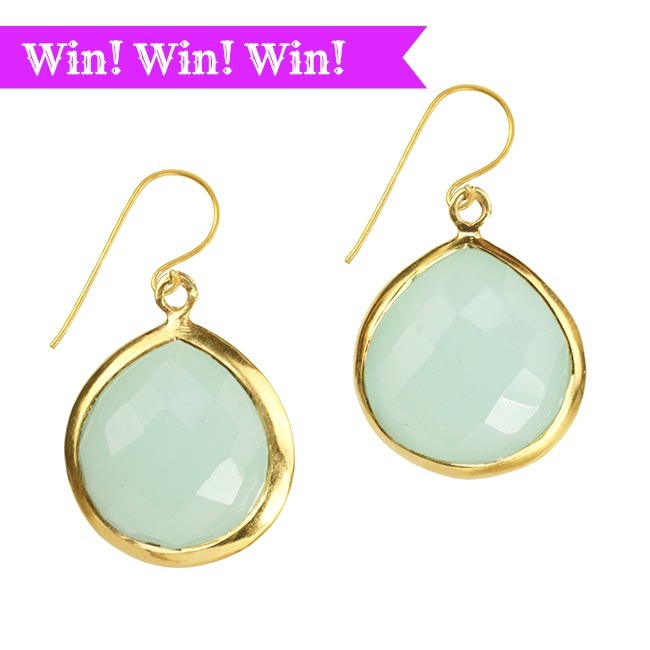 love this earrings.. they look like some my mum used to have... great prize!! Wow, these are so elegant and dainty but stunning! @midgetflynn on the ol' Twitter! What a gorgeous range of jewellery. Follow both FB's as The Agoraphobic Fashionista *waves* and umm.... want so bad! I could certainly give these beauties a welcome home!